XM Radio, Bluetooth, Cruise Control, OnStar, Power Mirrors!!! 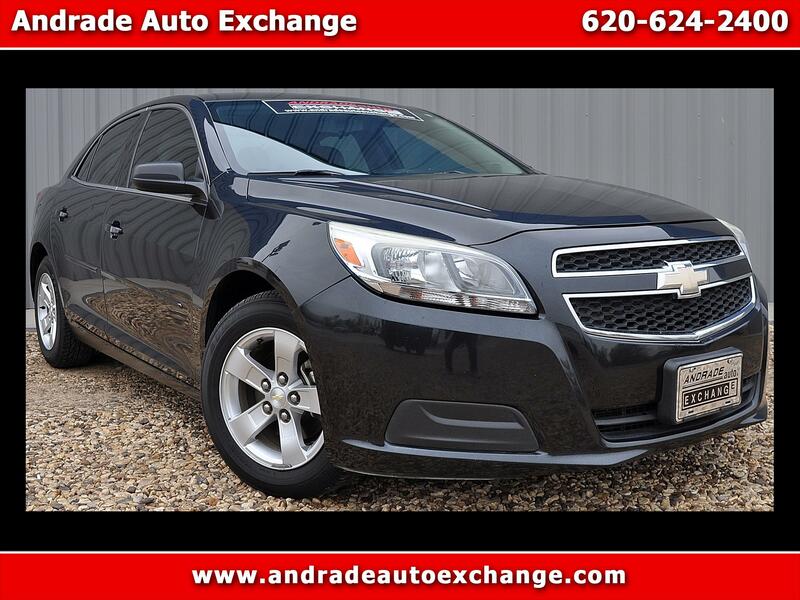 Our 2013 Chevrolet Malibu LS is bold in Black! Under the hood sits a 2.5 Liter 4 Cylinder that generates 197hp. It's coupled to an advanced 6 Speed Automatic transmission, providing top-notch function and incredible efficiency to reward you with near 34mpg. Each swoop and curve of our Malibu LS is designed to break the air with ease! Enjoy the supportive seats and convenient technologies that heighten the driving experience of our extraordinary midsize sedan. Every ride feels first class with steering wheel-mounted controls for audio and cruise, a 2-way power vertical driver seat adjuster, power accessories, keyless entry, smart device integration, Bluetooth, available satellite radio, and other amenities. The Malibu is designed for maximum space, aesthetic appeal, and safety. Electronic stability control, 10 airbags, and Automatic Crash Response are in place to help keep you and your family safe as you travel down the road. Reward yourself with this safe, secure, and stylish drive! Print this page and call us Now... We Know You Will Enjoy Your Test Drive Towards Ownership!